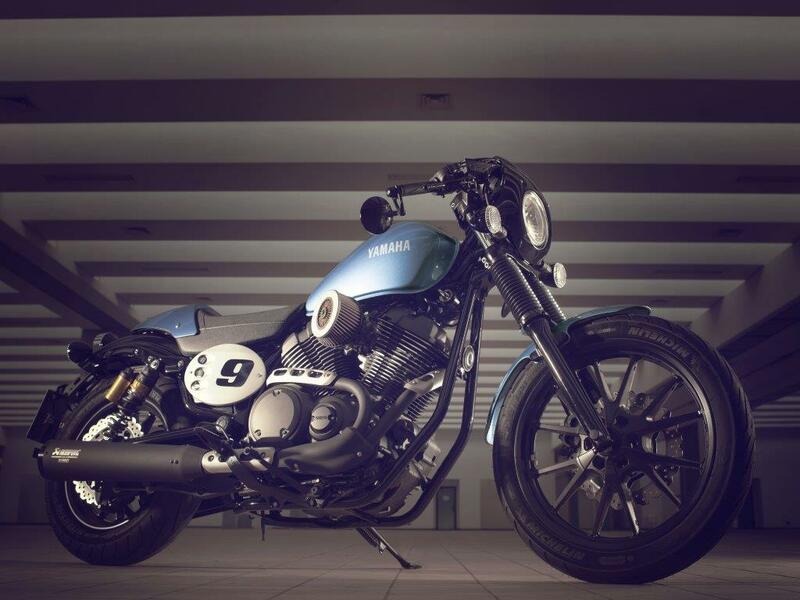 Yamaha have revealed this new XV950 Racer version of the V-twin sport heritage bikes as an additional model to join the range. 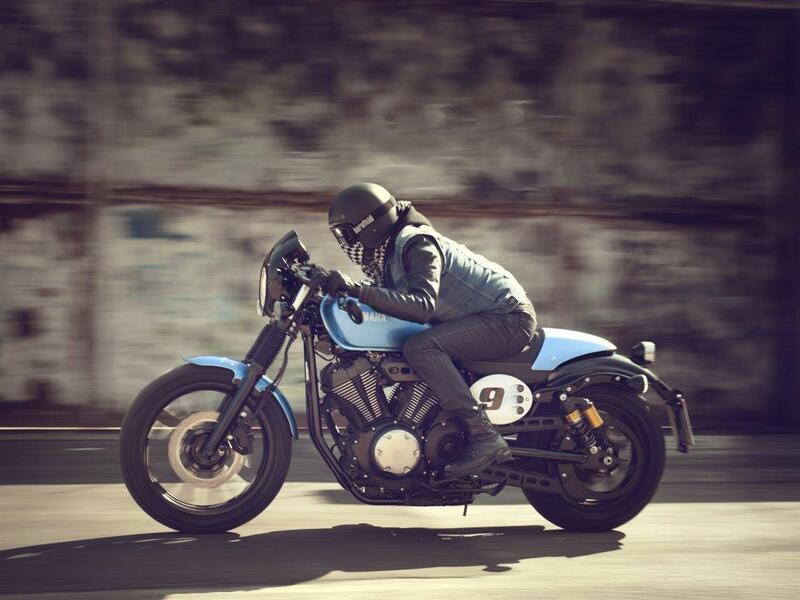 Yamaha has been working over the past 18 months or so with some of the world’s leading custom bike builders to create the Yard Built series of bikes with the new XV950 Racer getting the inspiration from Marcus Walz’s “El Raton Asesino” bike. Underneath the XV950 Racer is the 942cc air-cooled V-twin and chassis from the rest of the XV950 range which means the peak power and torque remain unchanged at 50bhp and 58.5ft lbs. 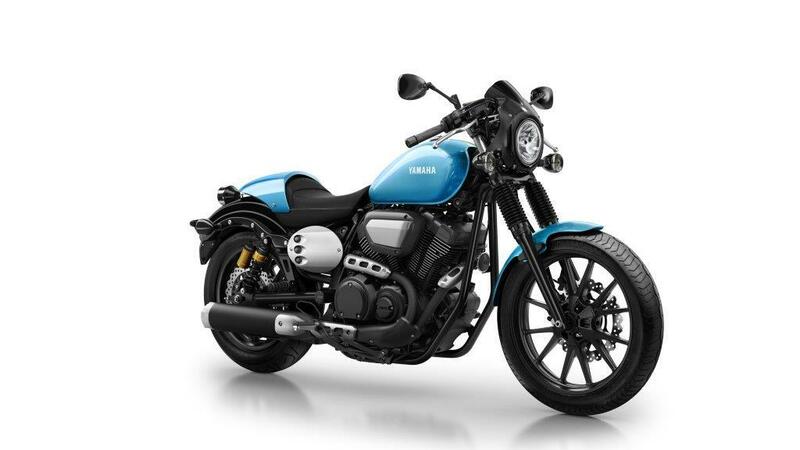 Changes to the XV950 Racer over the other bikes in the range include forged aluminium clip-on handlebars to give a forward-leaning riding position. The 22.2mm diameter clip-on handlebars are 156mm further forward and 78mm lower than the XV950 models. The slimmer 22.2mm diameter handlebars allow sportier handgrips and more compact switchgear with the clutch and brake levers smaller, along with a smaller front brake master cylinder. The ‘racer’ style of the bike is further enhanced with new rearset footrests which are set 150mm further back and 29mm higher up to add ground clearance. The new single seat is 75mm higher than the 950R model and adds to the overall sportier riding experience Yamaha claims. The seat also gets a cover to look like old-style racing bikes. The café racer image means there is a mini front cowling with the single round headlight in combination with the clip-ons handlebars and the drilled aluminium side number plates. It also gets a new V-bank cover for the air-cooled V-twin. There is more than just cosmetic changes to the XV950 Racer with new 41mm diameter forks offering an increased front wheel that is 9mm longer than the XV950R. At the back the twin shocks have piggy-back reservoirs and also have an extra 6mm rear wheel suspension travel. 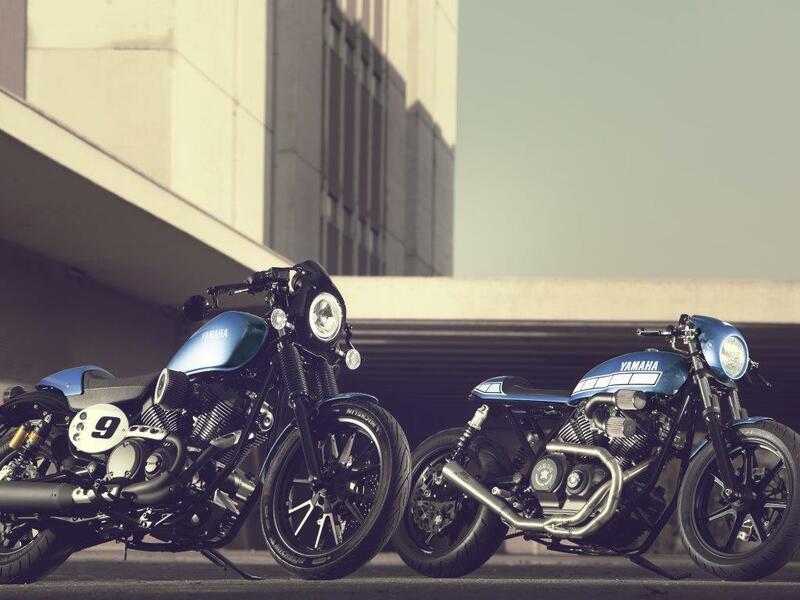 Like the rest of the XV950 range Yamaha is presenting the Racer as a blank canvas which owners can customise and make their own and there is a long list of accessories. Yamaha XV950: Long-term test report.